A Sunday, Feb. 7, 2016 photo provided by the U.S. Department of Homeland Security shows possible whale bones discvered Sunday by U.S. Customs and Border Protection Office of Field Operations Agriculture specialists while inspecting passenger baggage from Iceland at Baltimore Washington International Thurgood Marshall Airport. The importation of some bones is restricted. Whale bones are regulated by the U.S. Fish and Wildlife Service, border agents say. 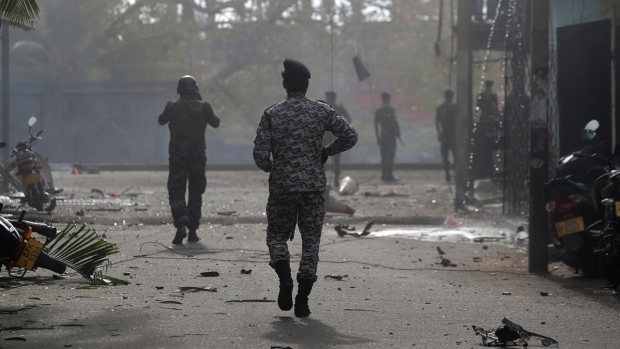 Customs officials kept the bones to determine their origin. The passenger was released. 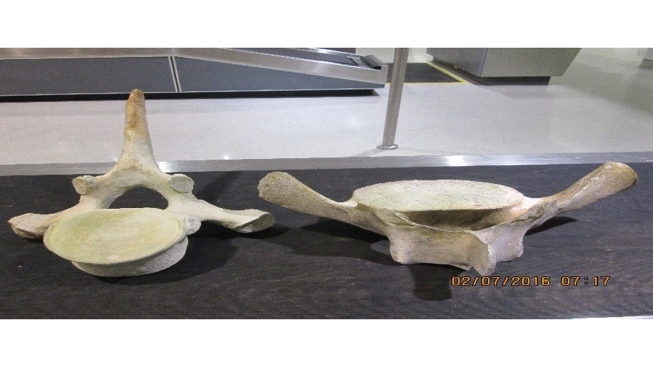 Customs and Border Protection officials say possible whale bones were found in the luggage of a passenger who flew into BWI Airport from Iceland. The agency said in a news release Friday that the bones were found during an inspection of the passenger's baggage Sunday at the airport. The traveler claimed they were whale bones. The importation of some bones is restricted. Whale bones are regulated by the U.S. Fish and Wildlife Service, border agents say. Customs officials kept the bones to determine their origin. The passenger was released. If the bones are not from an endangered species, they will be returned to the passenger.